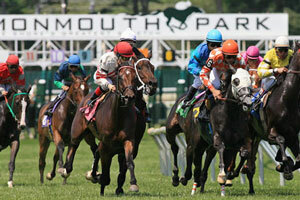 …is named after the first president and chairman of the Monmouth Park Jockey Club, Amory Lawrence Haskell. Amory L. Haskell was born in New York City in 1893. [Unfortunately] He graduated from Princeton University in 1916 [and not Rutgers. 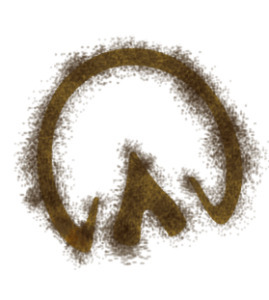 Hoo-Rah!]. Before World War II, Haskell spent many years lobbying to amend the New Jersey State Constitution to legalize pari-mutuel wagering for Thoroughbred and Standardbred racing. If it wasn’t for him none of us, “Horse Heroes” and other equine pals could experience the adrenaline pumping through our veins at the starting gate! 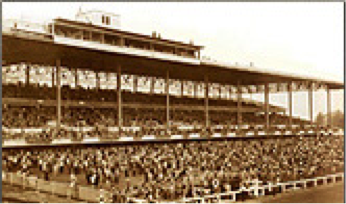 Then in 1946, he went on to modernize Monmouth Park – originally founded in 1870. Take a look at the before and after pictures of Monmouth Park. Upon his death in 1966, the directors honored his memory in 1968 with the Amory L. Haskell Handicap, a race for older horses that want to relive their younger days. In 1981, the Haskell name was transferred to a mile and an eighth invitational for the nation’s top three-year-olds. Guess who got this year’s “Golden Ticket”?? If you said ME, then I am extremely flattered, but no, all I got was chocolate. The newest Triple Crown winner, American Pharoah is racing! He is even having his own three day event, “Pharoah Phan Phestival”. Say that three times fast! Festivities begin on “Phriday”, July 31st. For more information, visit Monmouth Park or The Haskell. …is named after a famous horse instead of a person, Hambletonian 10 – widely known as the “Father of the American Trotter”. The Hambletonian began in 1926 and the best trotters in the nation travel for a chance to compete. If you can’t make this year’s “Hambo”, you can always watch it on TV. That’s what I will be doing. No matter how much I begged, the staff at Rutgers told me I couldn’t go. The “Hambo” has been televised since 1964! The Hambletonian wasn’t always at the Meadowlands Racetrack. 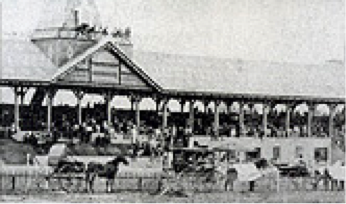 The first Hambletonian Stake was at the New York State Fair in Syracuse, New York and had a purse of $73,451. That’s $987,000 in today’s market!! This race has been known as the richest race in the trotting sport and the tradition still continues with $1 million being 2015’s grand prize! Due to bad luck with the weather, Syracuse only hosted the first three races; they passed it on to Bill Cane of Good Time Park in Goshen, New York. Goshen hosted the Hambletonian from 1930 to 1956, where the grandstand was always overflowing with spectators! When Bill Cane died in 1956, the races moved over several state lines to DuQuion, Illinois. This big move was due to the hostile situation by New York’s administration on harness racing legislation. The Hambletonian stayed in the Midwest from 1957-1980. (A lot longer than they expected!) Many “Hambo” traditions were born here, including the Hambletonian Song, the grand old free-for-aller Pronto Don leading the post parade, and a separate filly division. In 1981, New Jersey Governor Brendan Byrne traveled to DuQuoin and delegated with the Hambletonian Society to move the races to New Jersey. Governor Byrne wanted to turn the races into a day-long festival that’s fun for the whole family. This type of atmosphere is what we still see today! The Meadowlands Racetrack has hosted the Hambletonian for the last 34 years and there is no hint of it ever moving. Click for more information on the Hambletonian’s history or the 2015 Hambletonian. If you are going to either one of these events (or both! ), then live tweet the excitement for me, so I can feel like I’m right there with you! Make sure you #RUESC so I can see them. I will be looking for all your tweets on my Twitter, @RutgersESC! Hi, Cascade. Don't forget about the SPHO National Horse Show at the Horse Park on August 9th and 10th. Come see what Standardbreds are doing after they finish racing at the track I had a retired Standardbred for 12 years, and was he ever a fun horse, especially riding him as a pacer under saddle.